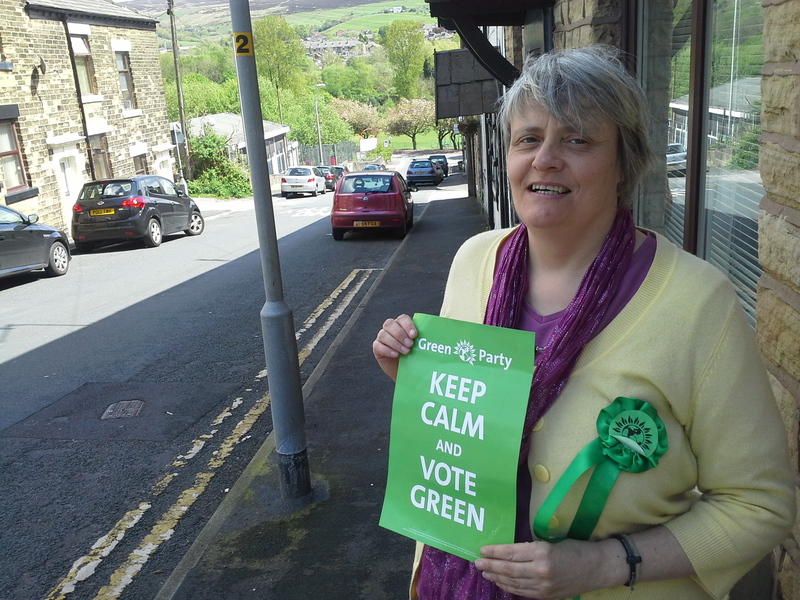 I am Julie Wood and I am standing for the Green Party in Dukinfield. Attending the Spring Conference strengthened my sense that Green Party policies on Social Justice and the Environment (which are interlinked) are the policies of my own heart and mind. Since I think that social justice and traditional green issues go together and that the Green Party’s policies are now the viable, exciting way to ensure a possible, happy, human and natural future, I became a member of the Green Party. In particular, both as a volunteer at a Tameside foodbank, and as a jobseeker I am well aware of the impact of “Austerity”. I know too that it is not necessary, that it enriches a very few at the cost of most of us, and that there is a far better alternative. Join me. Create the alternative. Vote Green. This entry was posted in Tameside Election Candidates 2014 and tagged Green Party, Green Party candidate in Dukinfield, Julie Wood, Spring Conference, Tameside Election Candidates 2014 by tamesidegreens. Bookmark the permalink.